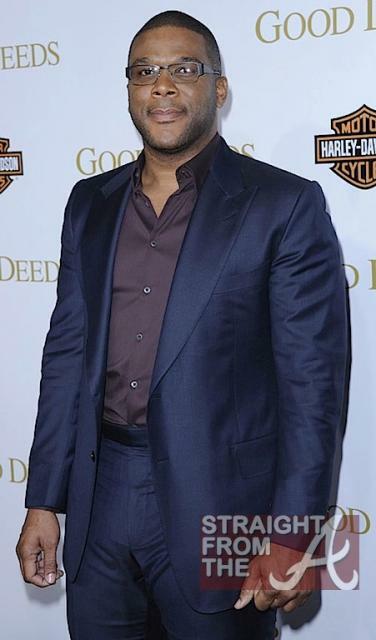 Tyler Perry played host to the premiere of his new movie Good Deeds at the Regal Cinemas in Los Angeles last night (February 14, 2012). Good Deeds focuses on Tyler’s character Wesley Deeds, who is so consumed with his work that he forgets there is more to life. Deeds then sets about changing the life of Thandie Newton’s character, while trying to make his relationship with his fiance’ played by Gabrielle Union.